On Thursday January 28, 2016, Alfred – A Cooperative Institute for Arts and Culture, will open a double exhibition titled 'Nothing and the Rest', which will feature the works of Alma Machness Kass and Rachel Kainy. This exhibition opens the annual theme of 2016 – The Humane. The annual series will be divided into two sequences of exhibitions that attempt to examine the possible content of "the humane" as it is perceived today: 'the relations between the human and the divine' and 'the relations between the personal and the general'. Both sequences attempt to stress the concept of The Humane. All of the exhibitions stand alone, artistic and curatorial, but share a common concept. On the opening night of the exhibition, a catalog of the exhibition Completions will be launched. Completions is a group exhibition of Alfred gallery members, currently on display at the Redline College, Beer Sheva, and was exhibited at Alfred gallery in May 2015. Machness Kass will show a series of photographs which are charged with the presence of her absent father, who died three years ago. Machness Kass re-creates her father's image as it appears from her personal perspective. Kainy will present a series of graphite drawings on paper, which is part of an ongoing search for the essence of form and substance. 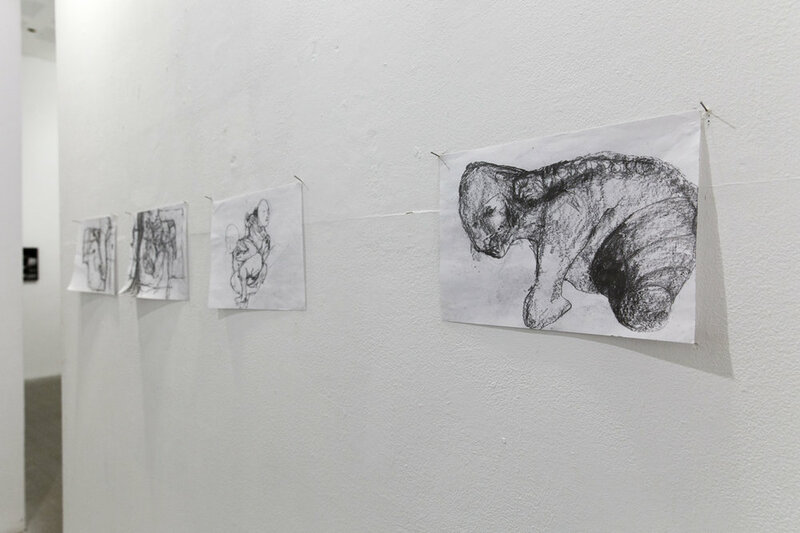 This search is formed through Kainy's unique drawings, which produce an intense world of bodies and spaces. The exhibition's title Nothing and the Rest, does not indicate a conflict and negation, but a condition of formation. Machness Kass's image of a deceased parent, does not signify absence, but the way the image is recreated through the photographic medium; A record of something that no longer exists, but continues to exist in memory. Kainy's drawings do not rely on observing an object or an image, but are generated from a repetitive action on the blank paper. The traces of activity are evidence of a mental condition, while producing a new reality that takes form as expressive images. The works in the exhibition create a language that allows us to re-examine reality, thus what seems as nothing, creates a reality, and creates the rest. Alma Machness Kass, a graduate of Ha'Midrasha College of Art (2006), studying for a degree in Interdisciplinary Arts at Tel Aviv University. Presented several solo exhibitions and has participated in numerous group exhibitions. Teaches photography for several years in several places, including the Kibbutzim College of Education and Derech Ha'Tsilum ". 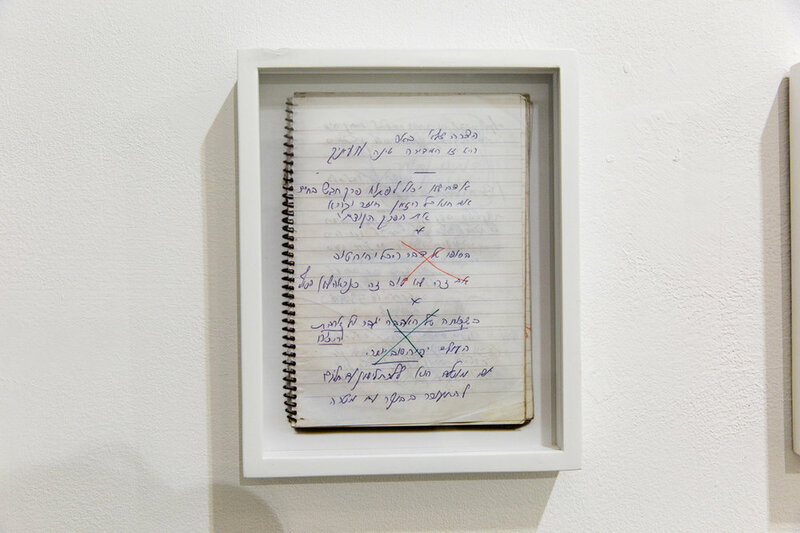 Rachel Kainy, a graduate of Ha'Midrasha College of Art, Beit Berl College, graduated with excellence (2008), has exhibited several solo exhibitions at the Rosenfeld Gallery and the artists' workshops and participated in numerous group exhibitions, including "spaces" (curator Amitai Mendelsohn), "Ha'Nimrodim Ha'Hadashim" (curator Gideon Efrat), " Anthology "(curator Tali Ben-Nun). Her works are in private collections and in the Israel Museum.